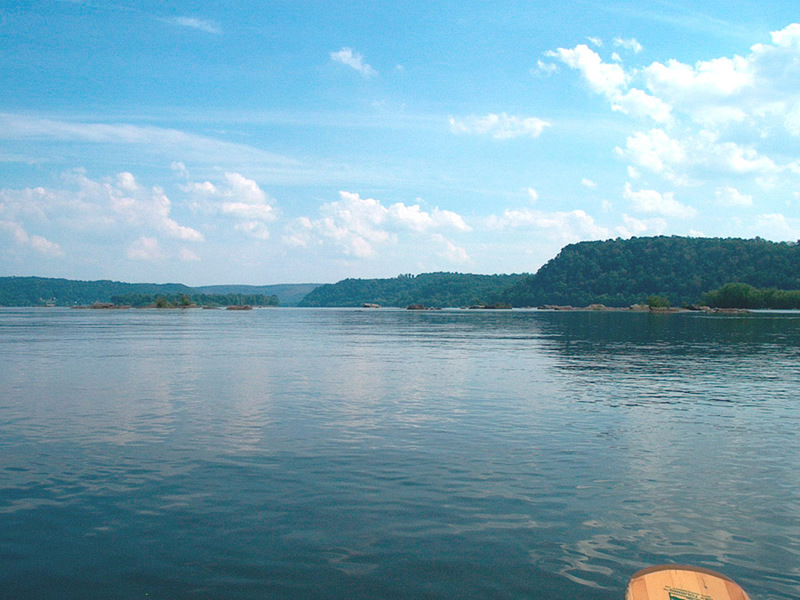 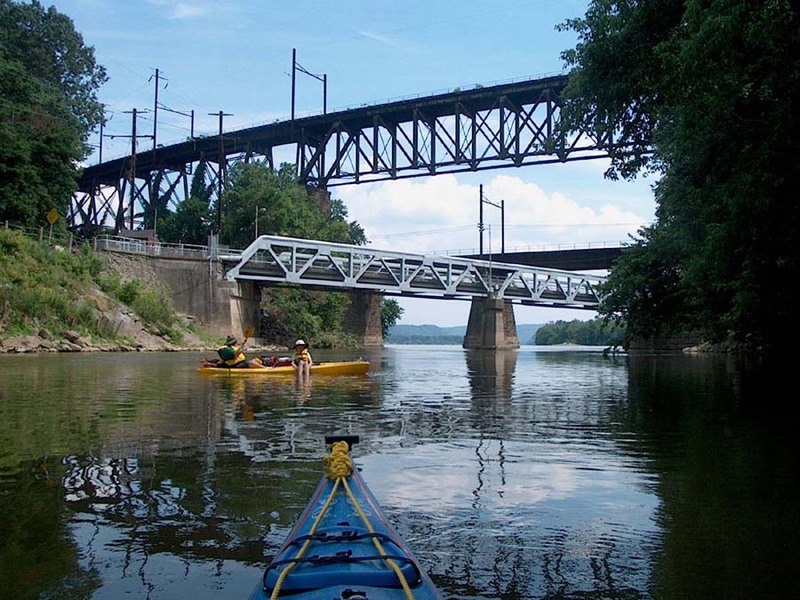 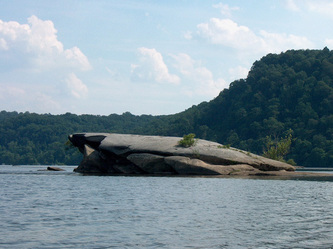 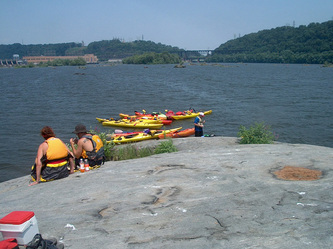 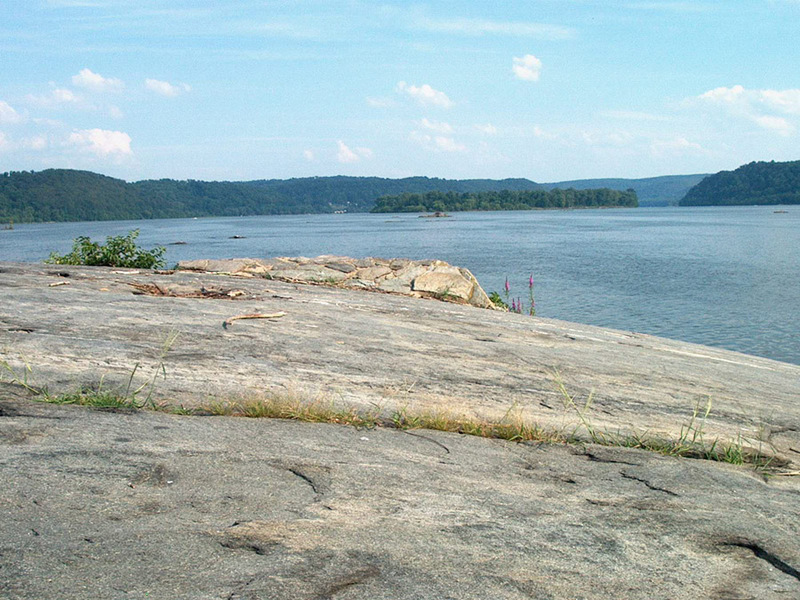 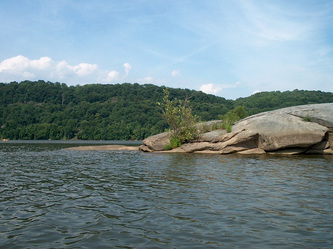 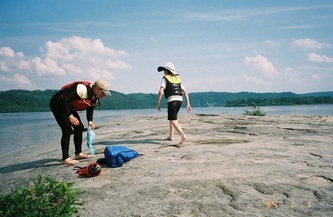 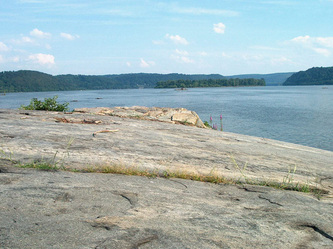 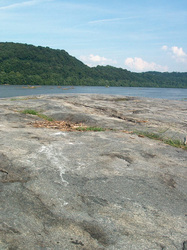 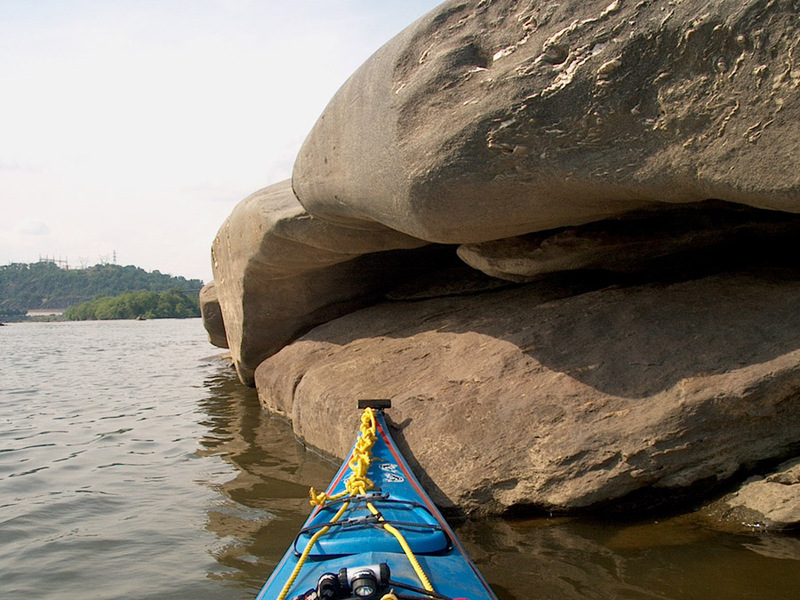 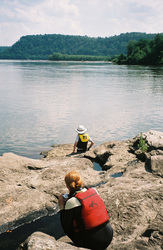 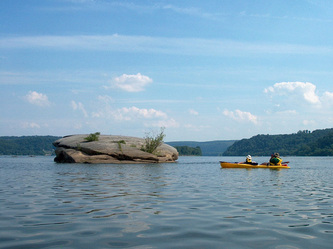 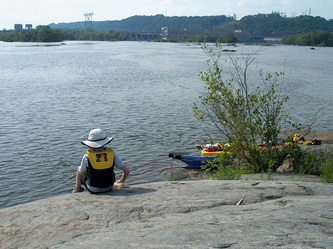 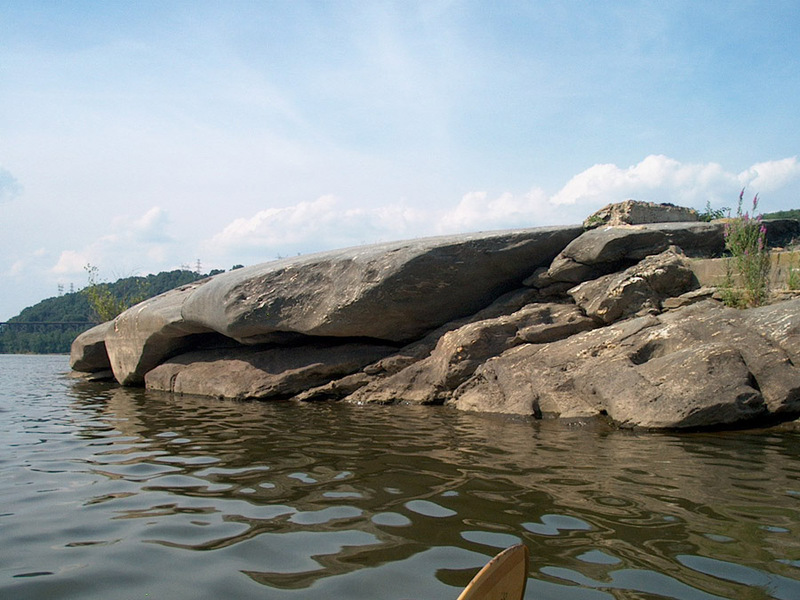 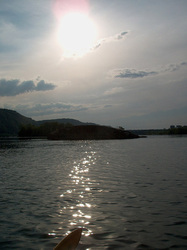 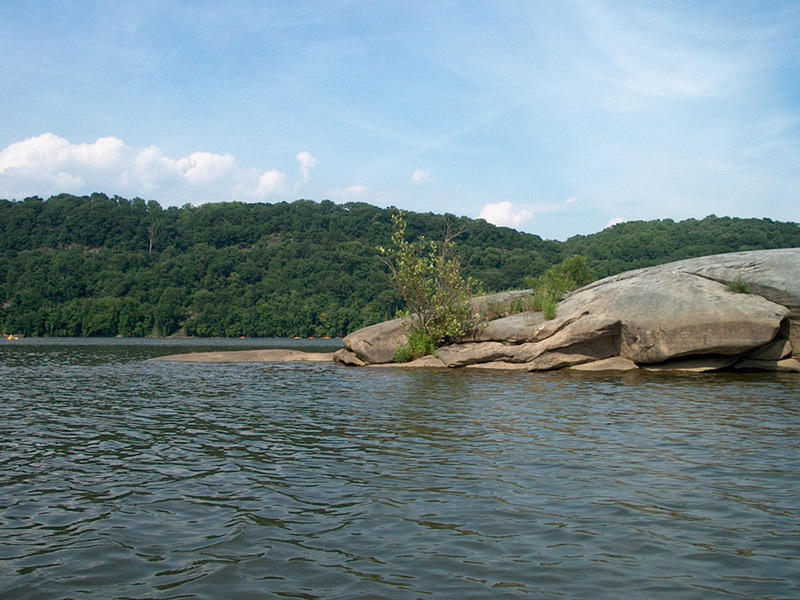 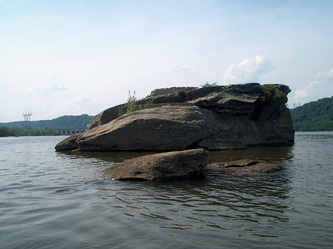 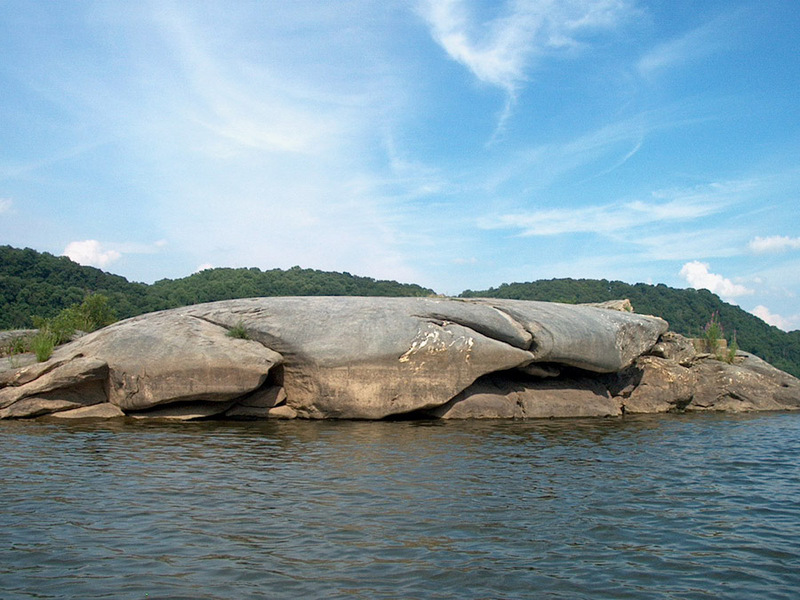 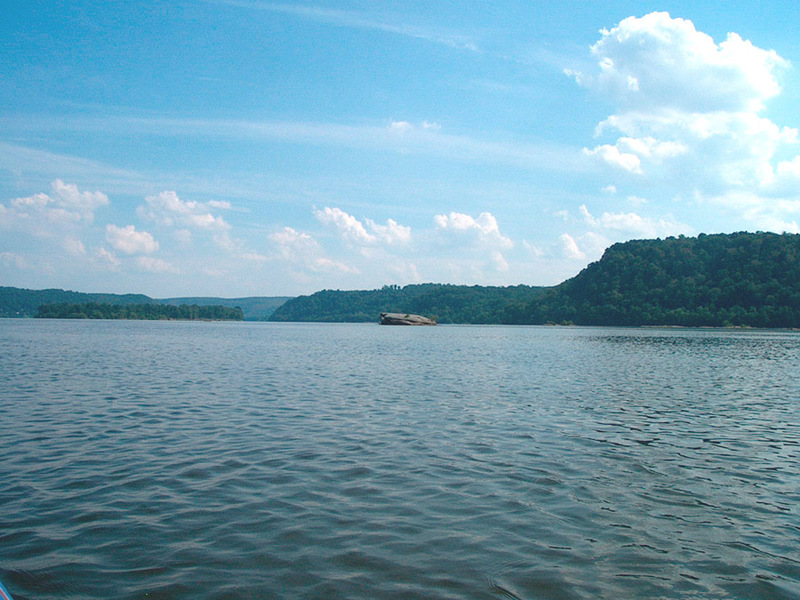 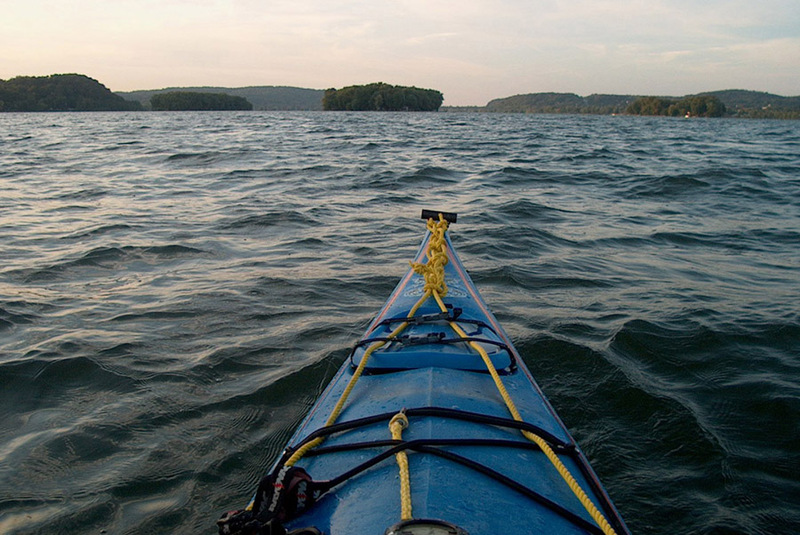 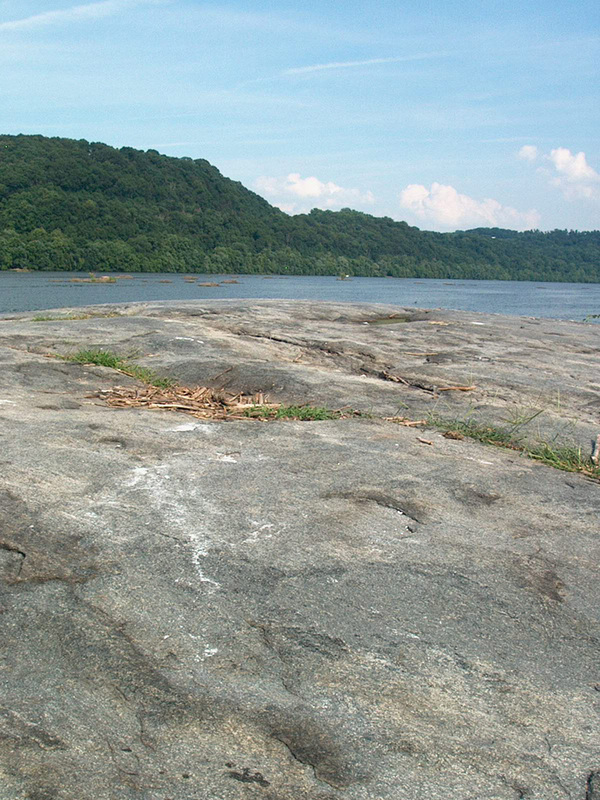 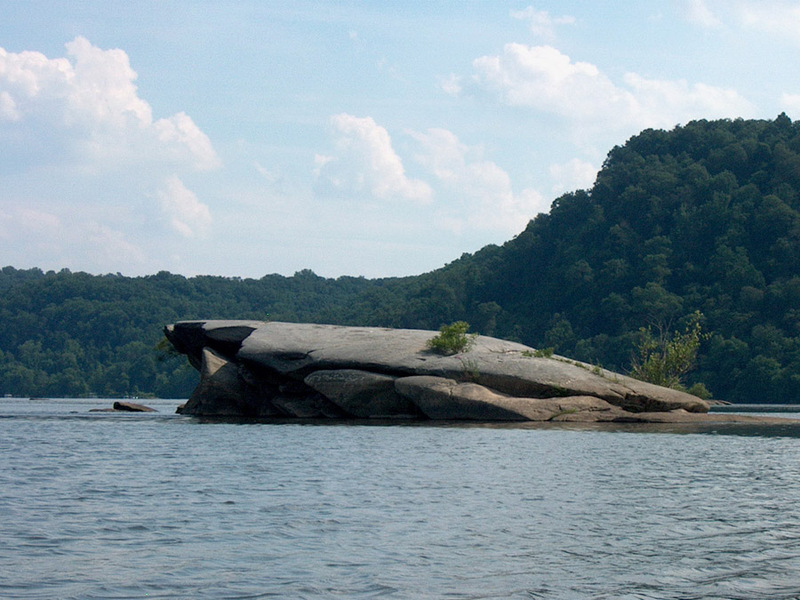 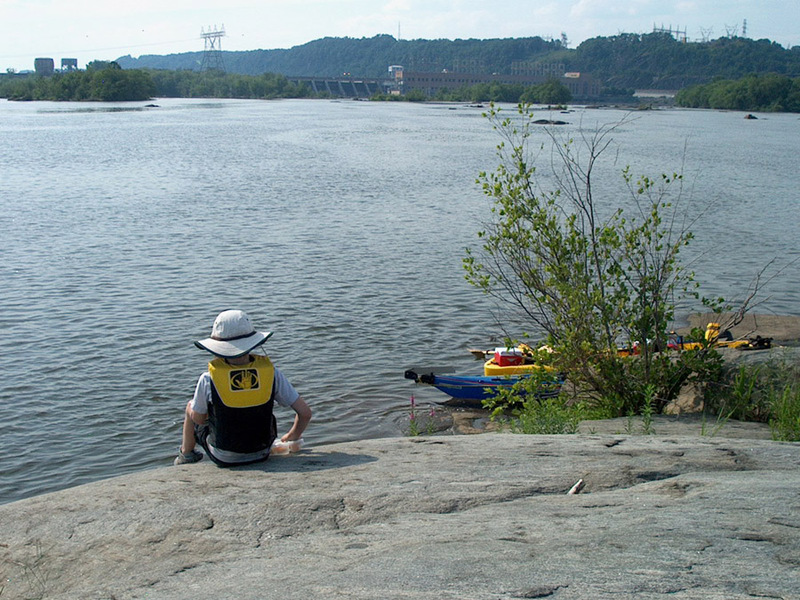 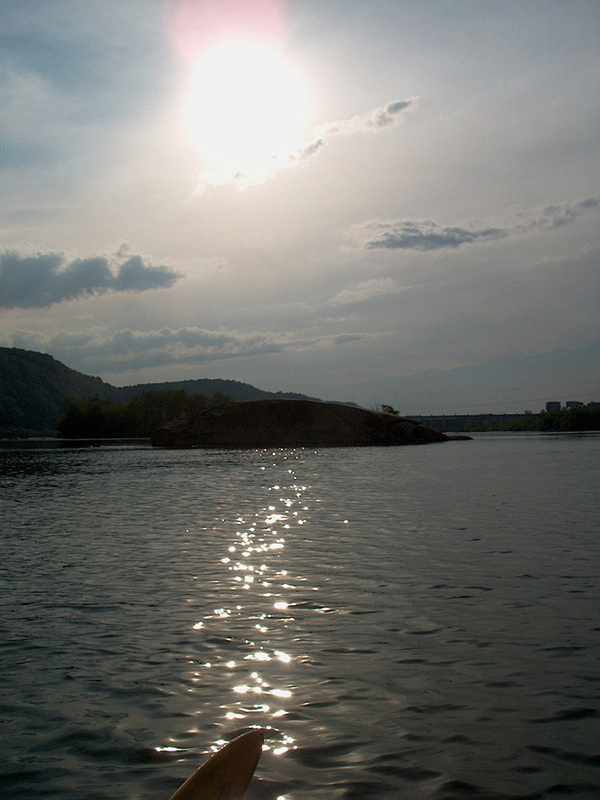 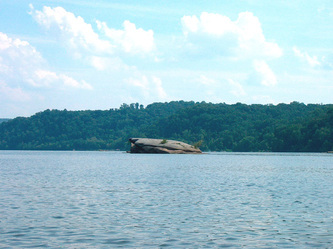 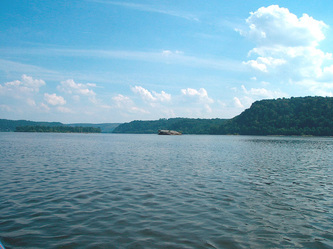 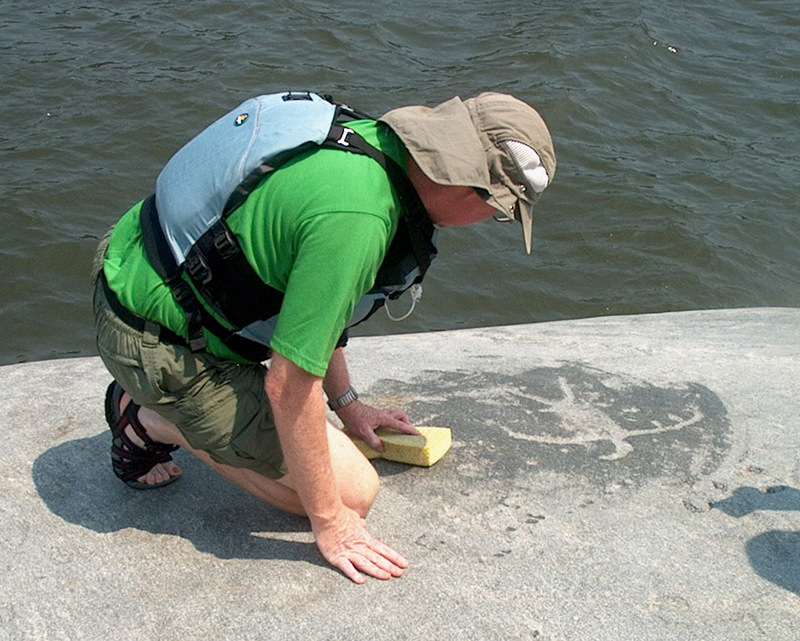 On the Susquehanna River, just south of the Safe Harbor Dam, nearer the York County side than the Lancaster side, lies an unobtrusive rock the size of Grandpa's RV, or a small tops'l schooner. 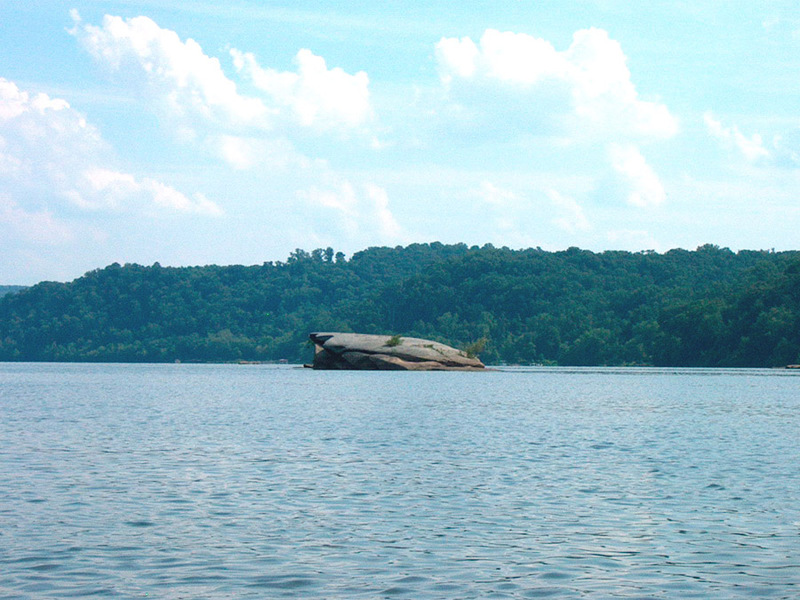 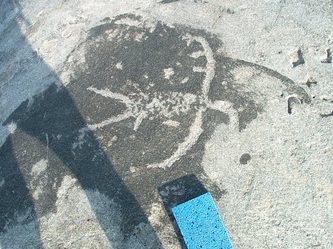 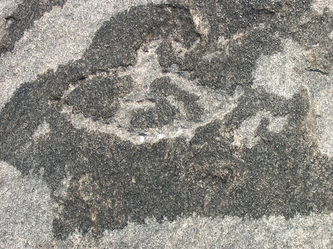 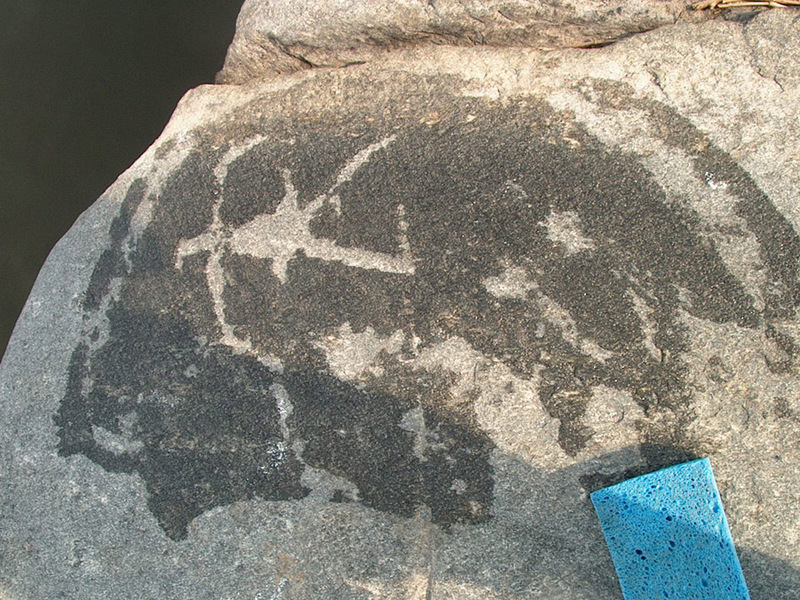 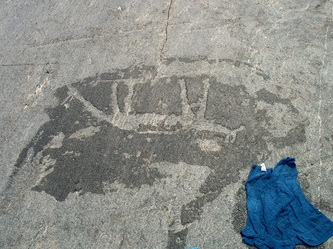 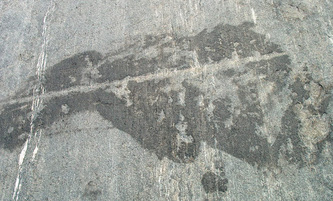 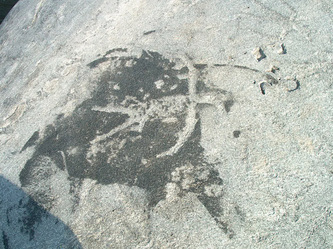 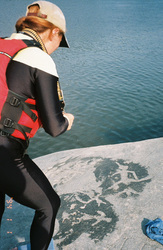 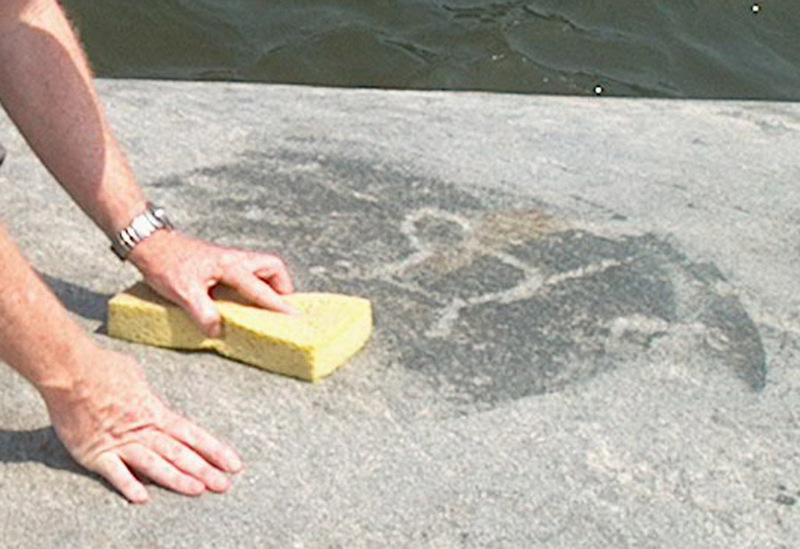 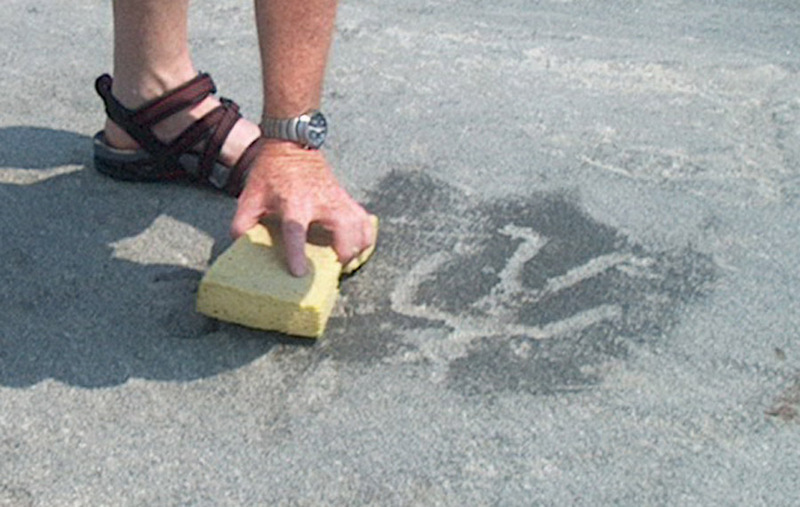 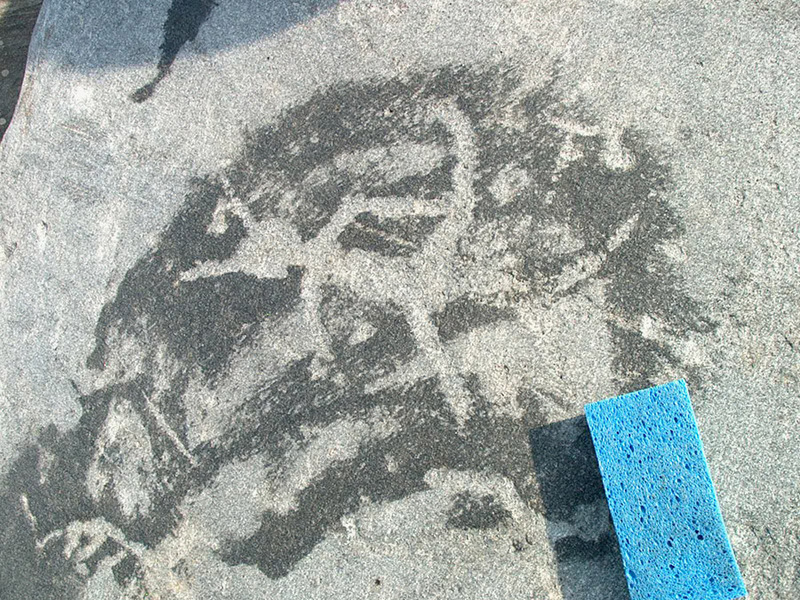 From the water, it is turtle shaped, unmarked and unvegetated. 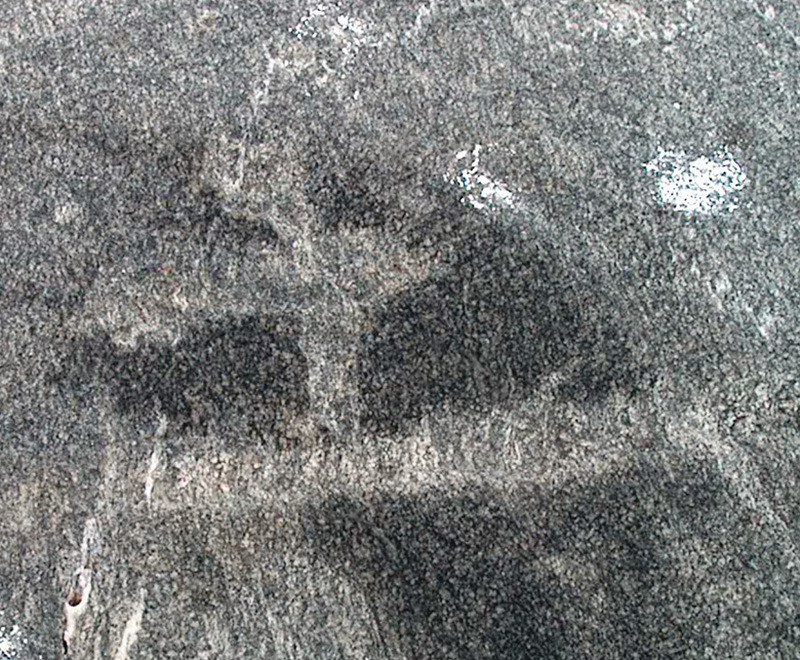 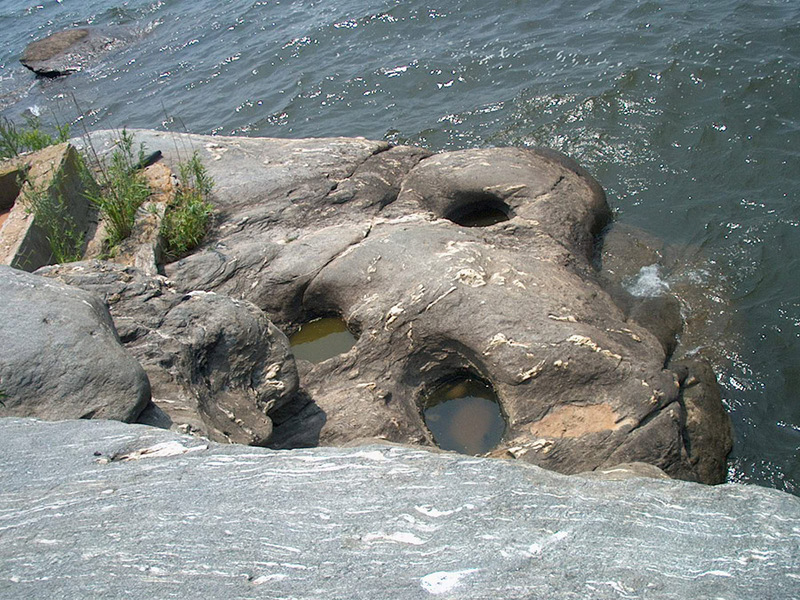 From the river-right side, there is a formation that looks a lot like a humpbacked whale sticking out its tongue. 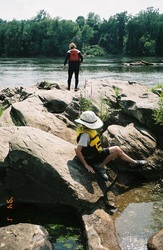 You can still see the dam from here, and if you paddle back upstream, you may find yourself in a bit of a conundrum as you battle your way across the ripping current of a dam release, back up into the Conestoga River (more of a creek, and yes, it's the one the wagons were named after). 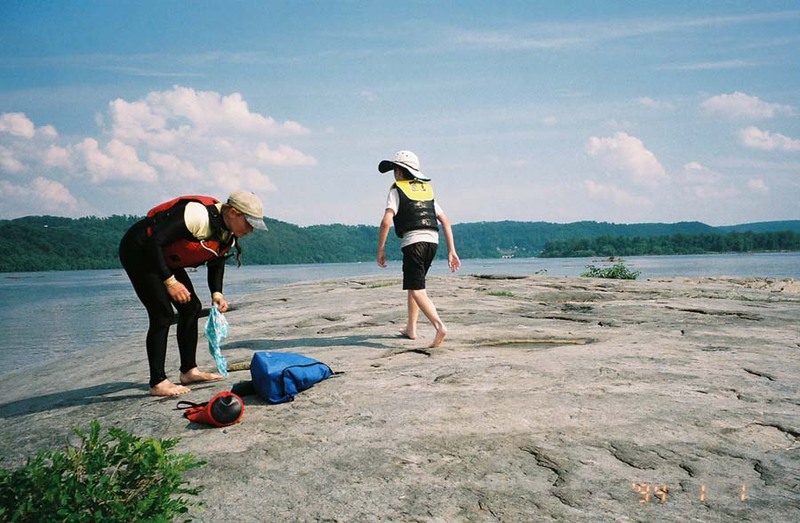 It is only when you tie your boat to the one lone scraggly shrub, or put a canoe anchor or dive weight into a crack in the upstream ledge, and climb past the slippery algae that grew at high water that you see the magic. 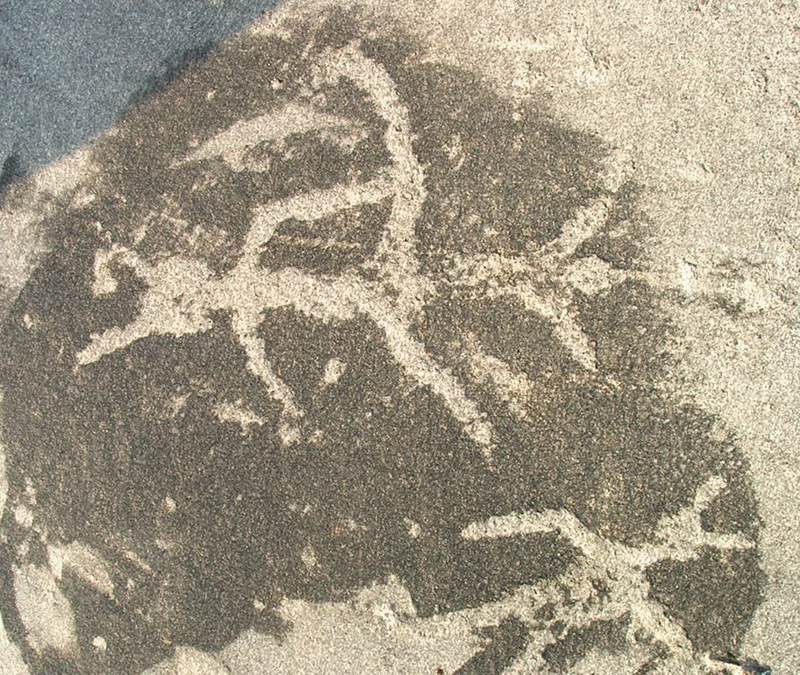 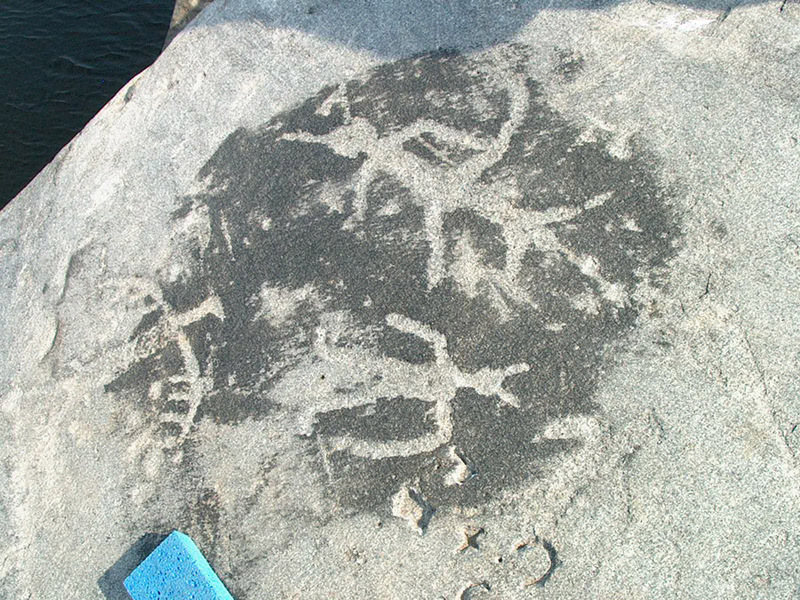 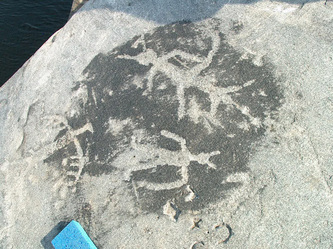 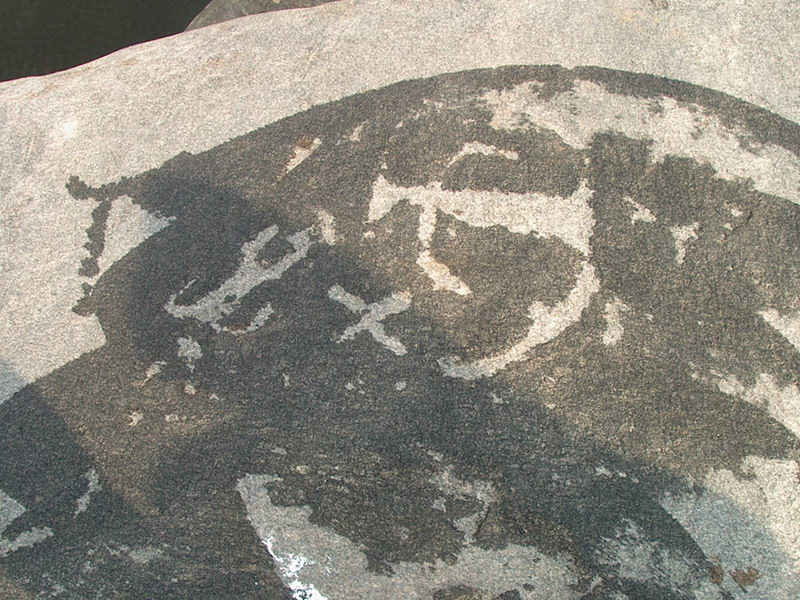 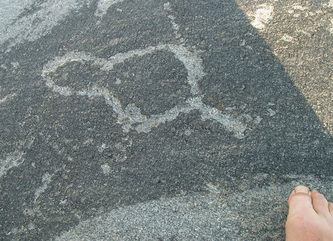 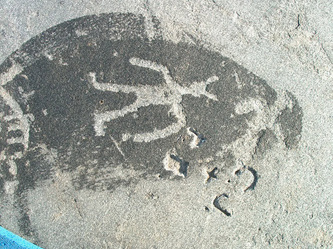 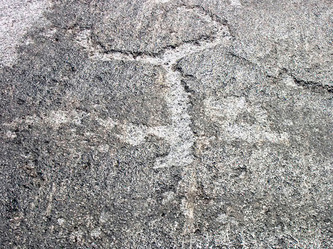 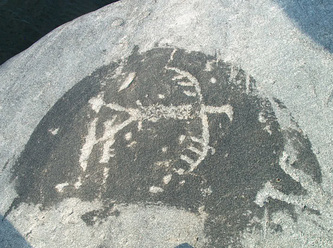 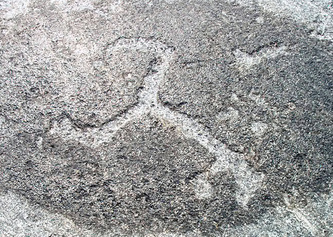 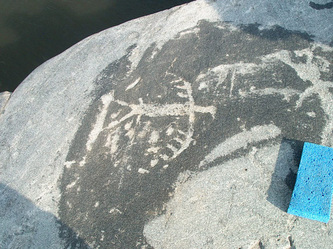 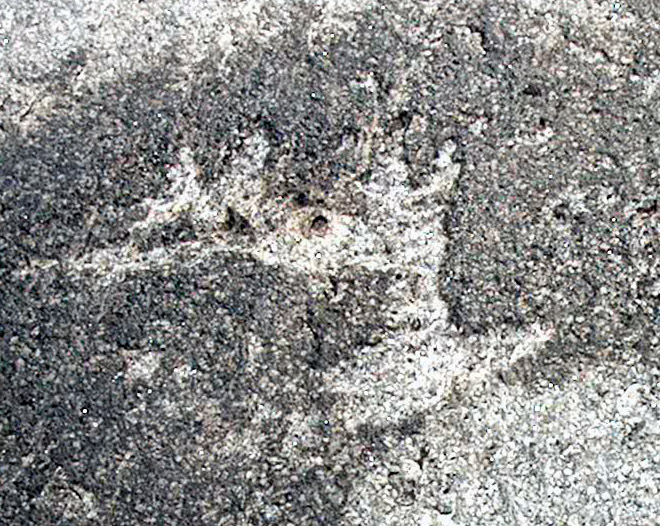 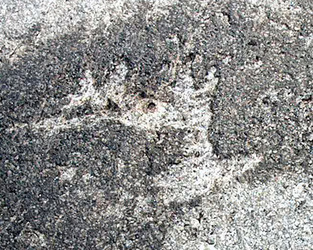 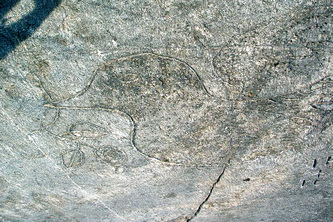 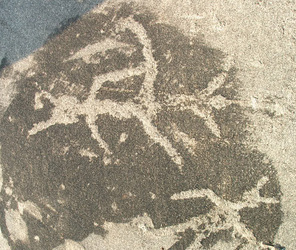 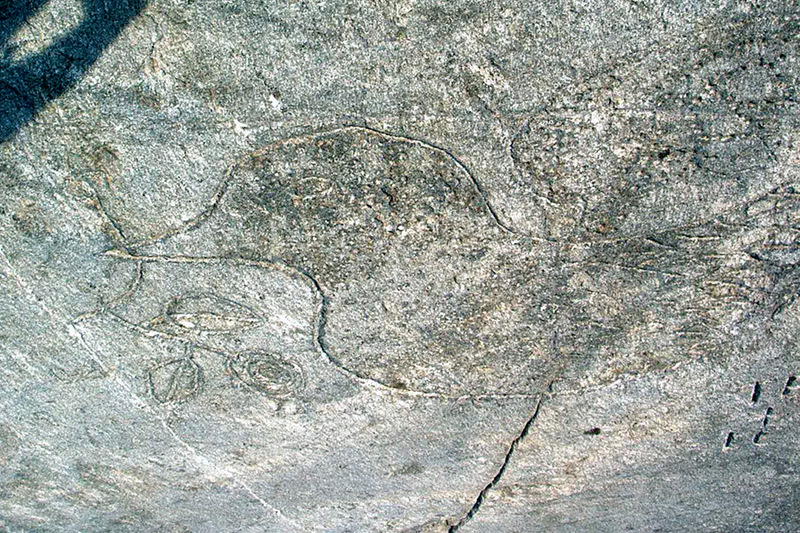 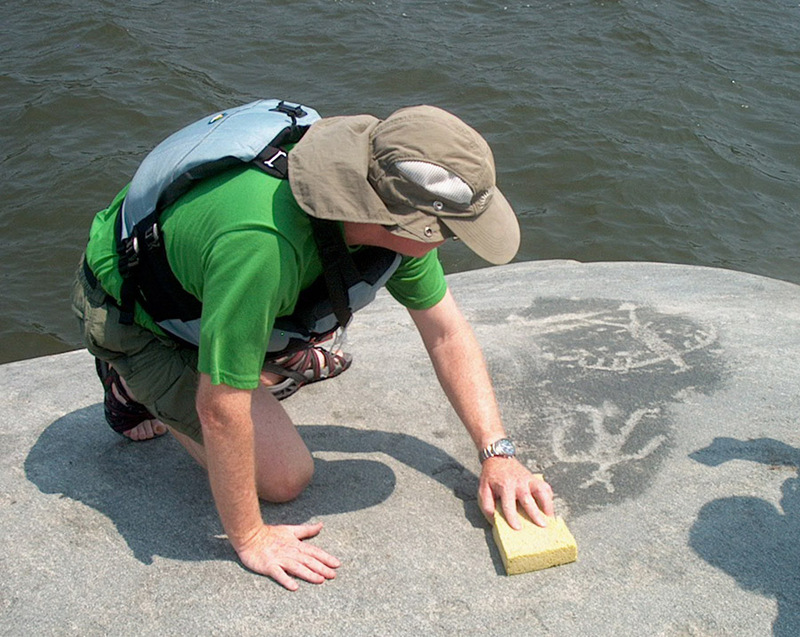 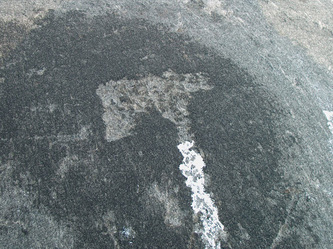 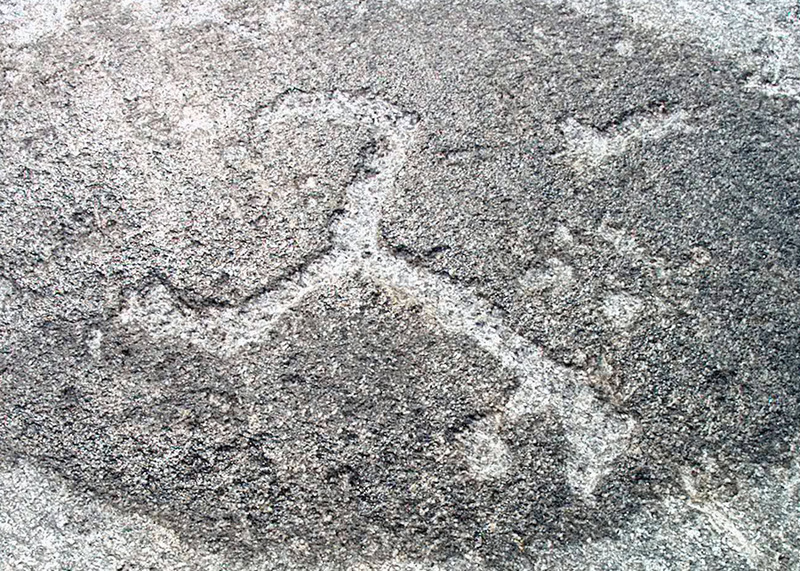 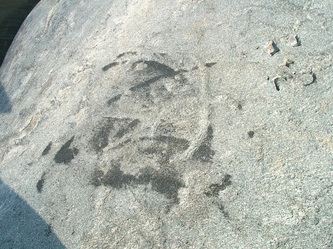 Petroglyphs or pictographs made by an ancient culture, long before European settlers walked these woods. 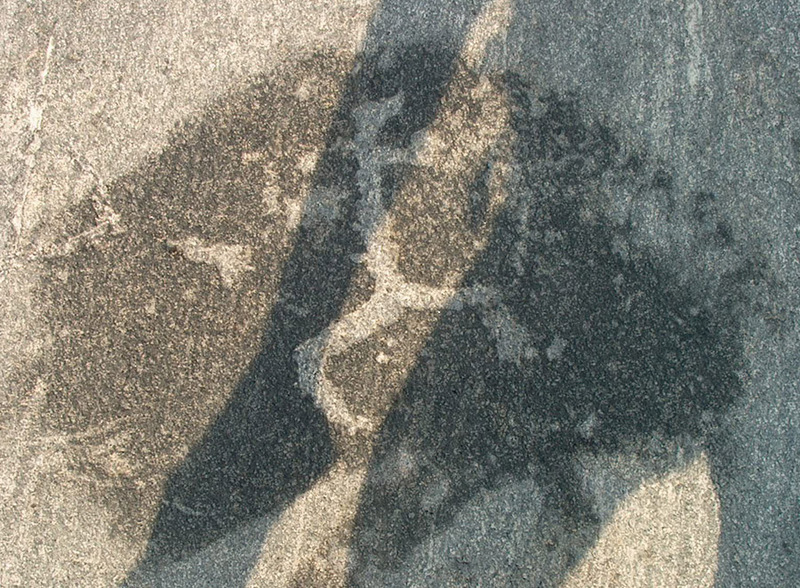 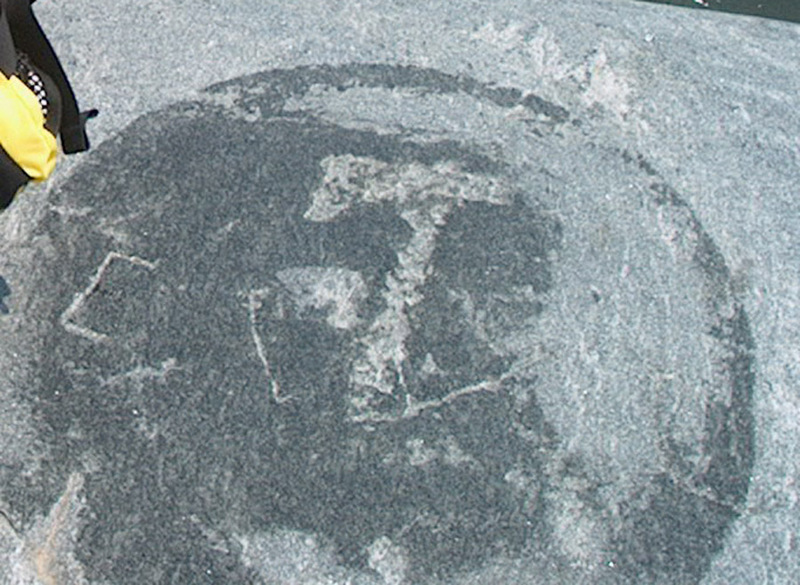 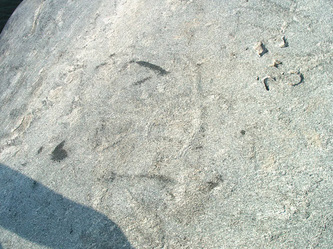 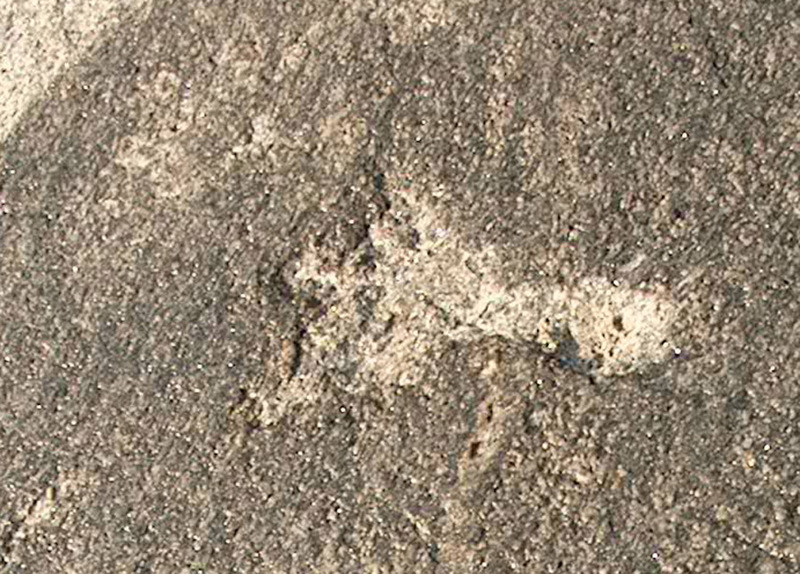 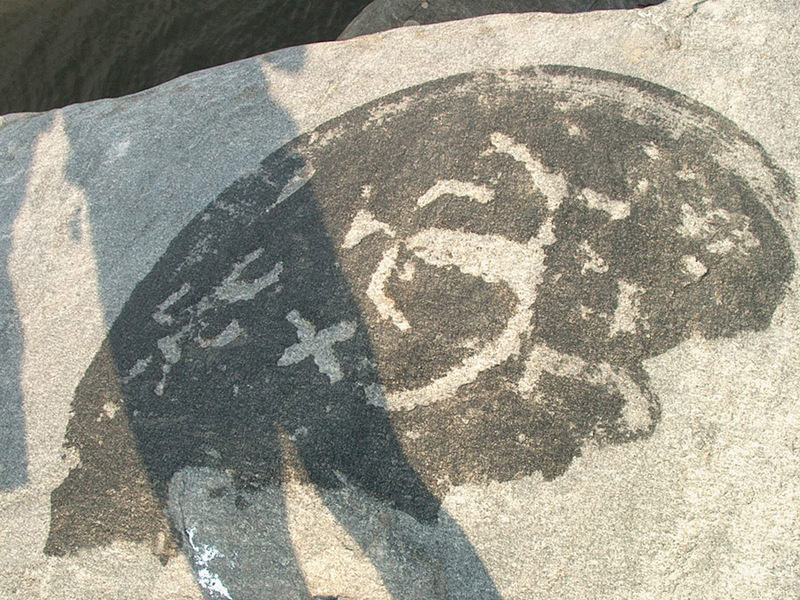 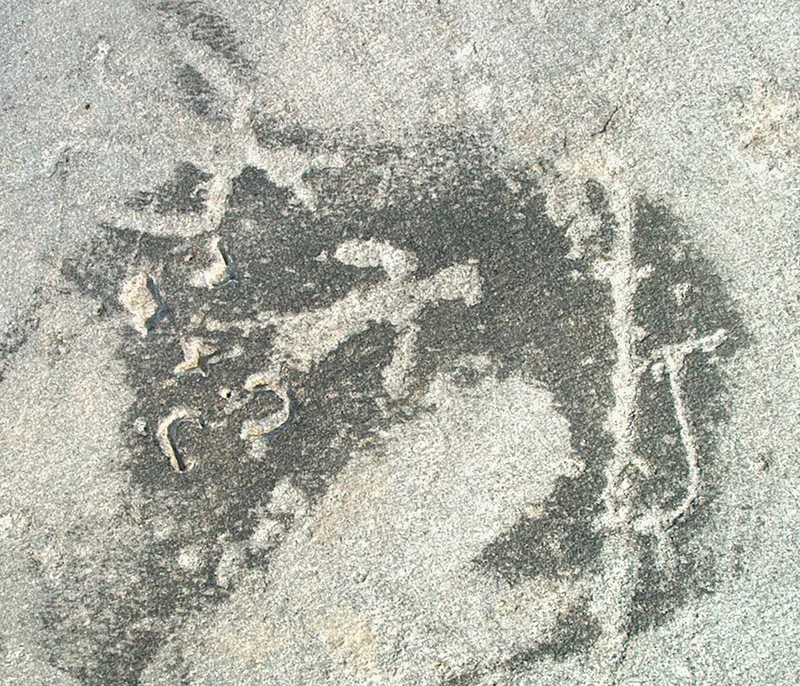 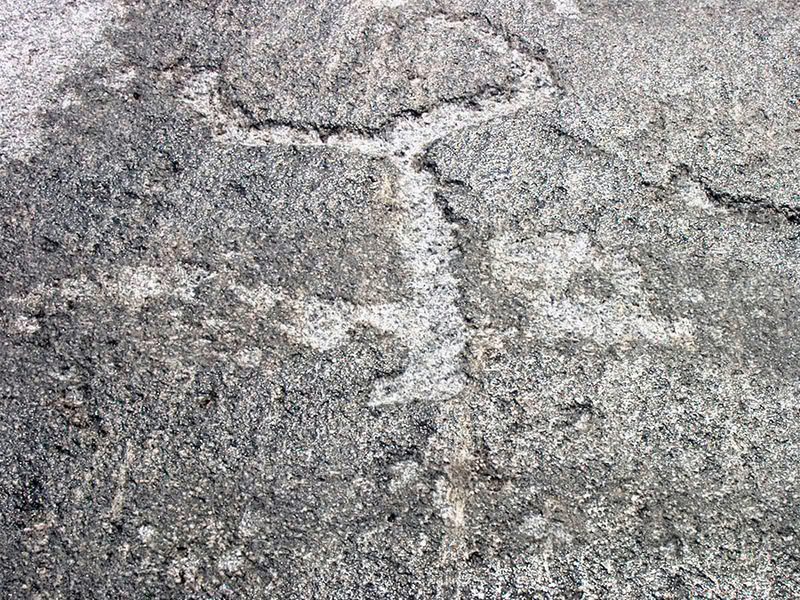 The glyphs are faded by wind and weather. 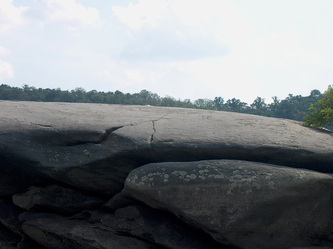 You can stand on the rock and not see them at all if the sun is high, or the day hazy and silver, like the first time I visited the rock. 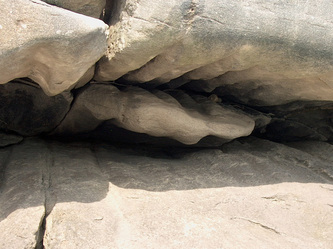 But if the light is low, coming up over the edge of the world, or you pass a damp sponge over the rock, the pictures appear. 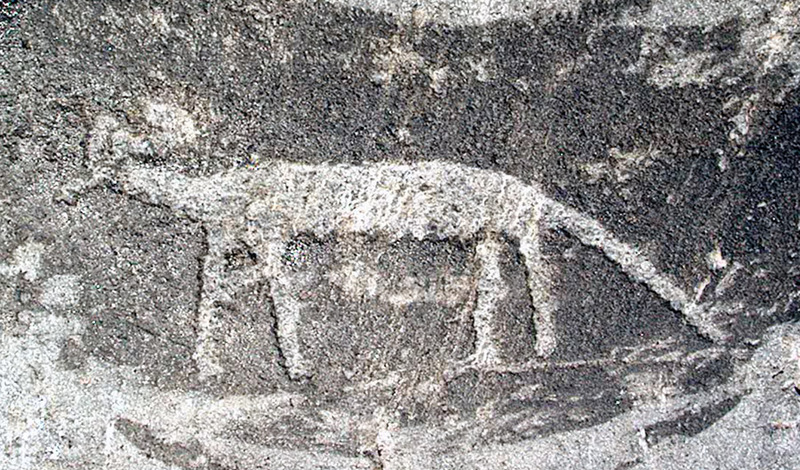 Creatures out of time and myth, their meaning unknown. 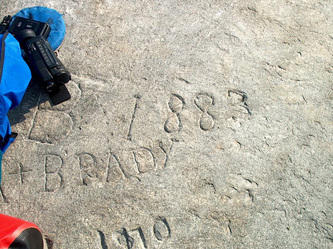 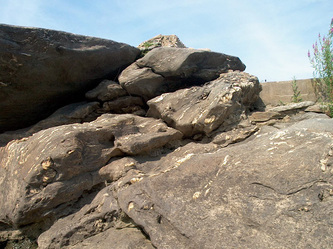 If you visit the rock, walk lightly (soft water shoes, or better, bare feet or socks), take only pictures, and leave nothing, not even footprints. 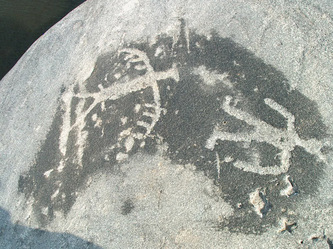 Unless it is a gift of sage or tobacco for the ancients. The rock is best visited by kayak. If you come out of the Conestoga (on the Lancaster side, where there is a small park), you can go on downstream to Pequea and take out there (at the "redneck yacht club", just like in the song... you'll have run a shuttle beforehand, leaving a car there). 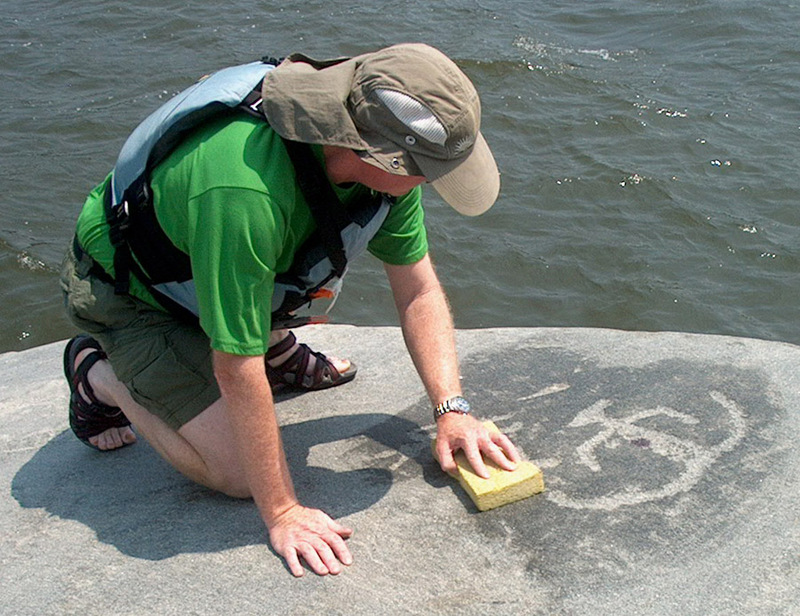 You can paddle up from the York side, I'll leave it to you and google earth to find out how. 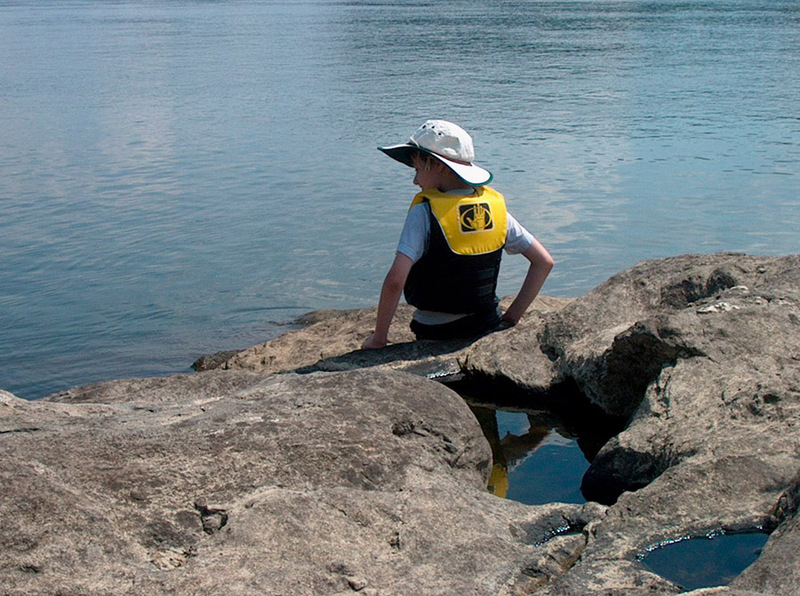 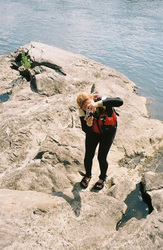 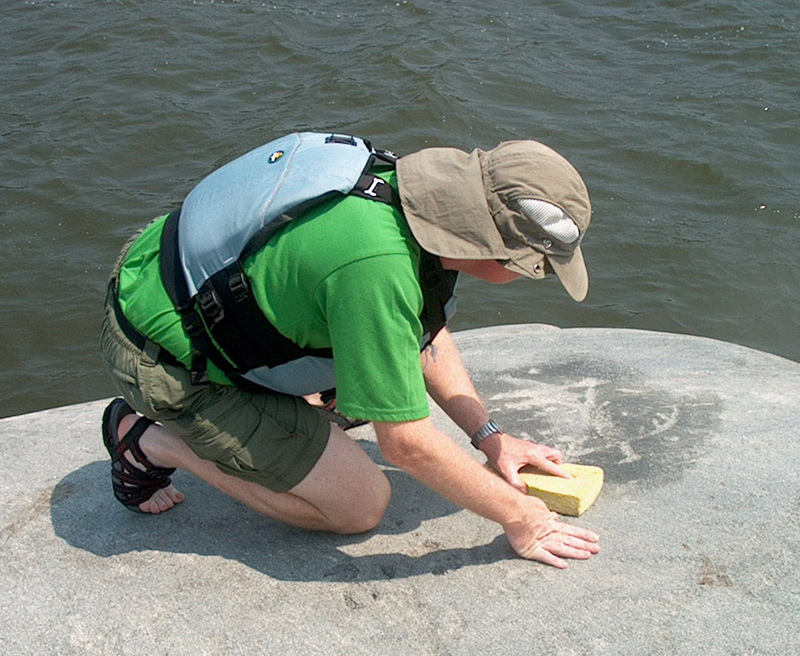 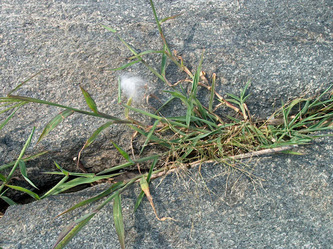 These pics are from two expeditions: I saw the eagle feather as I climbed up onto the rock. 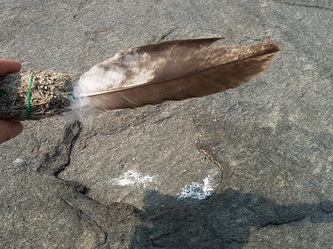 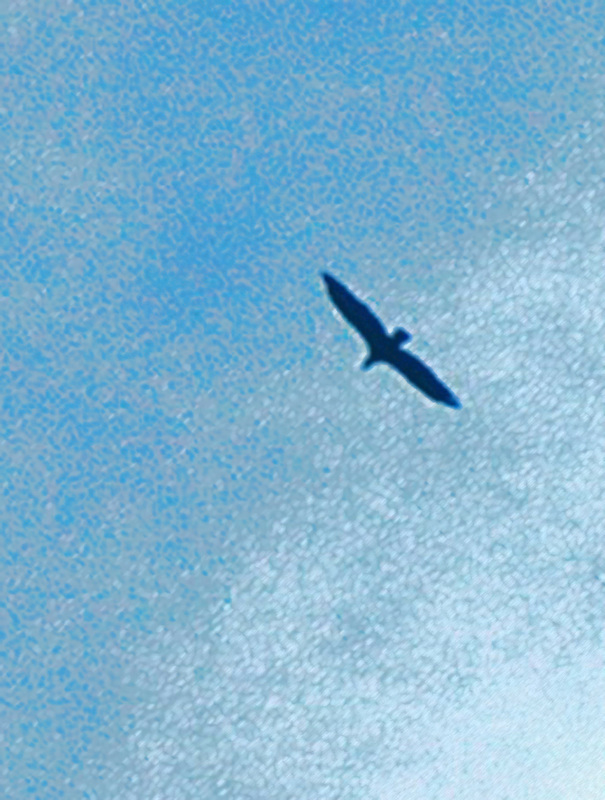 It was windy, and the chances of an eagle dropping a feather, and having it land on the rock, and it not blowing off are miniscule. 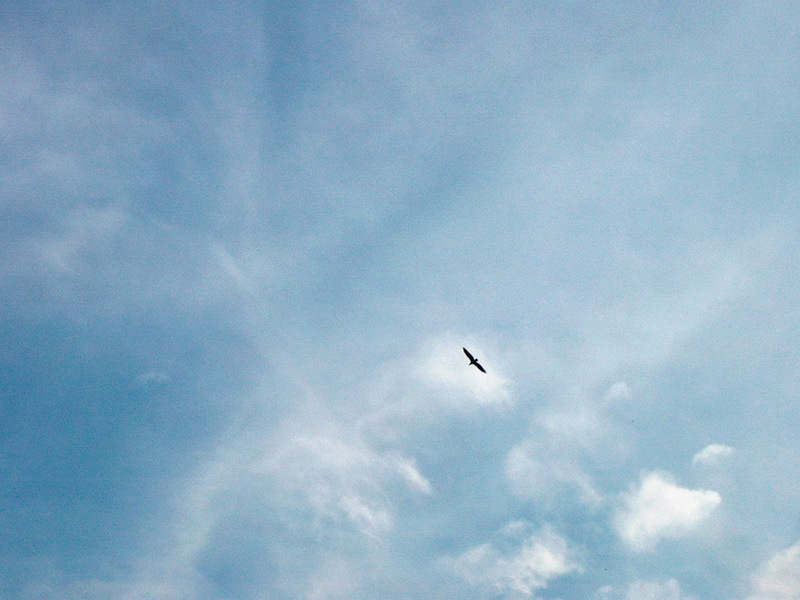 But there it was. 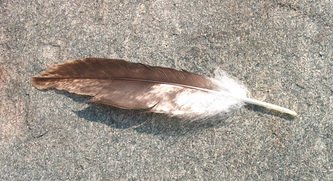 I photographed it, stuck it in the bundle of sage I had brought, and left it on the rock. (Unless you are of Native blood, you can't own bird of prey feathers).